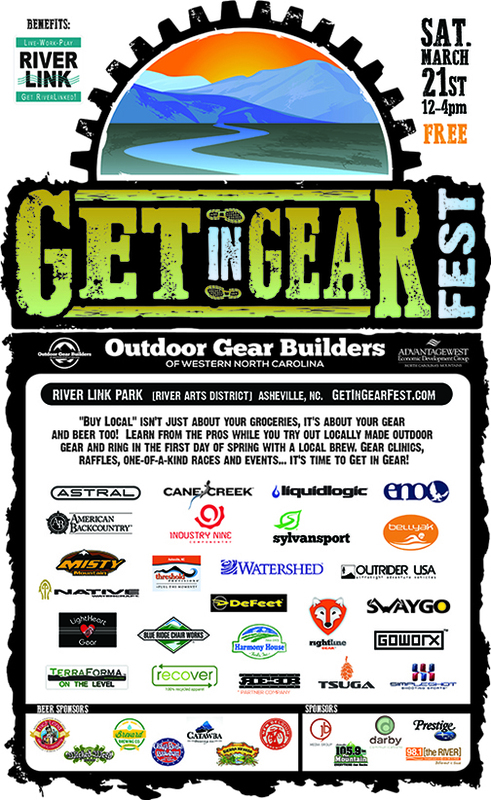 Join us for the first annual Get In Gear Fest on Saturday, March 21st. Our community is a mecca for outdoor enthusiasts so it was a natural that so many gear builders would migrate here. This festival will highlight gear-builders, offer demos, clinics, raffles, races, events, and local brews. Find more information at the event website: www.getingearfest.com. This entry was posted in Rightline Gear News and tagged Rightline Gear, Get In Gear Fest 2015, Outdoor Gear Builders, Asheville, NC, River Link Park, RIver Arts District. Bookmark the permalink.